Jenn @A Quarter Inch from the Edge posted about a four color Kona challenge earlier this month. Not one to dally, I went to my stash to see what I could pull together. I have two large plastic bins full of Kona Solids, and I immediately gravitated toward my favorite color. As I am also a huge fan of color gradation and ombre effects, it did not take long for me to make my selection of 4 Kona solids from my stash. Not done playing with color, I also decided to play around with the Palette Builder by Play Crafts and my photo archive to create several other options. I narrowed down my selection from many to the four I will share with you today. The first is a muted palette that represents the winter season to me. In order to get to see snow, my husband and I have to travel up into the mountains (our town used to get 6-8 light snows each year, but we have only had 1 snow in the past 2 winters). We went snowshoeing together at the beginning of February, and I love the memory of the quiet calm of walking between the snow covered trees and the muted color palette it creates. My husband called that walk a study in negative space, and I definitely agree with him. Changing things up a bit, I found a brilliant photograph of a barrel cactus from a visit to Joshua Tree National Park back in December. 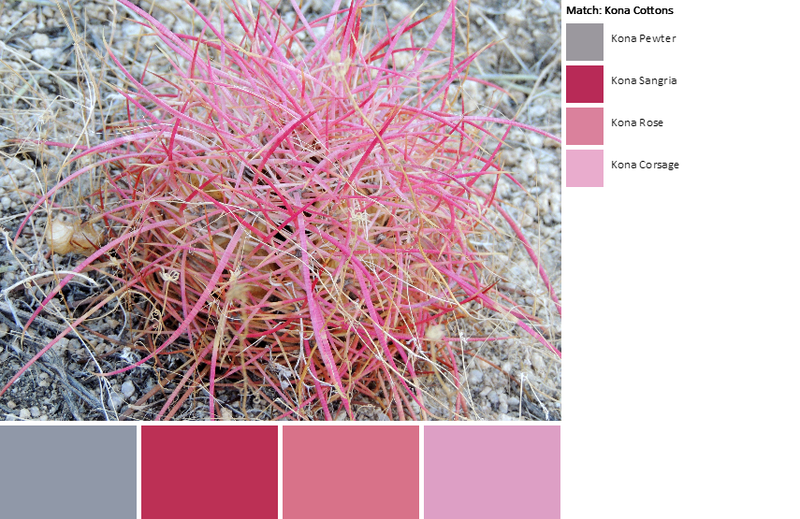 The bright pink spines make picking out the cactus a fun eye spy game on hikes through canyons. I have to admit that this is a color palette I tend to stay away from, but I really like the bright pop of color against the desert backdrop. This photograph of a Great Egret along the shoreline in Monterey, California, is one of my favorite photos I have ever captured. It doesn’t hurt that the colors in the photo are also my favorite blend of blues and whites, either. Are you noticing my color gradient bend? Yeah, it is really hard for me to stay away from! So for the grand finale, I will break the gradation mold! I really like the warm sunset colors found reflected in this photograph of a seagull (also along the coast in Monterey, California). The bright red dot of color on the seagull’s beak, it’s bright beak and legs, and the glow of the setting sun along its breast feathers make for a happy medley of warm tones. Jenn did warn that playing with the Palette Builder was addictive, and I really did have to limit myself to only present 4 palettes from my photographs. 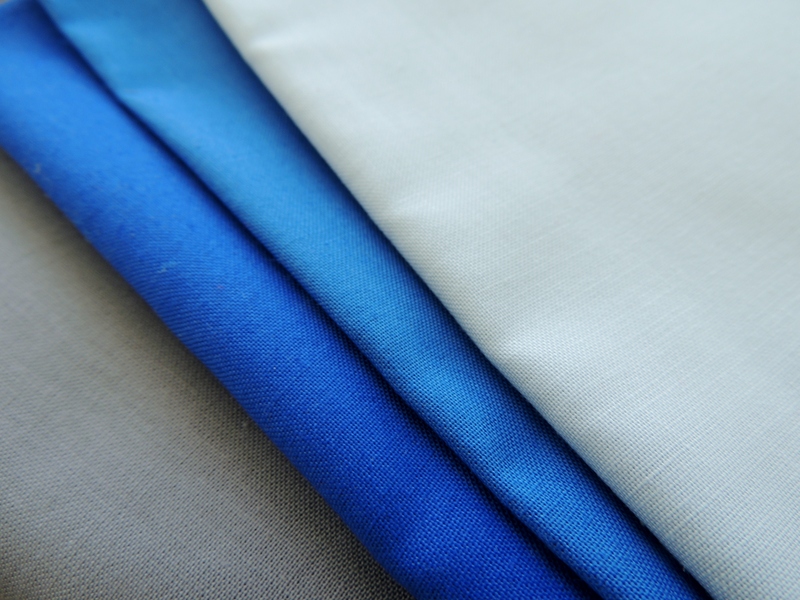 Kona solids are so versatile and they are wonderful to work with. How about you? Do you love Kona and what would your pull of 4 colors from your stash look like? Linking up to A Quarter Inch from the Edge for her I Love Kona challenge. These are great. I play on palette builder all the time! I love your egret photograph! What fun palette’s you’ve put together. I live inland, but grew up on the coast and miss it, so they really resonate with me. Your pile of Titanium, Rivera, Surf, Blue is really sweet…. And the photos used for Palette Builder are fabulous. How did you restrain yourself from not choosing six colours? All I know is every colour seems to look even better when you add a grey. Nice choices, Yvonne! Happy Valentine’s Day! Wow that pink photo is amazing! I do love kona and use it all the time. Your blues are so delicious! I think I would really have a hard time finding just four…kona has so many gorgeous colors! Perhaps you’d consider linking up? I’m shameless in my Kona ♥! Love your bundle… but I’m a sucker for blues! Shockingly, Titanium is the only one from your bundle that I have in my stash. I did warn you about Palette Builder… it’s deadly! Thanks for linking up! Love the egret photo–perfect timing. Oh, and the palette is nice too. But the barrel cactus wins on that front. That pink and grey combo really floats my boat, and I don’t even like pink particularly much! Thanks for joining up with the I Heart Kona link up! Oooo – I love your pictures and the color palettes you came up with – I agree, I’m not one for pinks usually but that is quite scumptious! I am also drawn to collections of blues, grays, and your palette photos are wonderful! Yvonne, I LOVE your color sense! I did not limit myself to four colors, got bit over enthusiastic there I guess. The shot with the seagull and the barrel cactus just really speak to me! 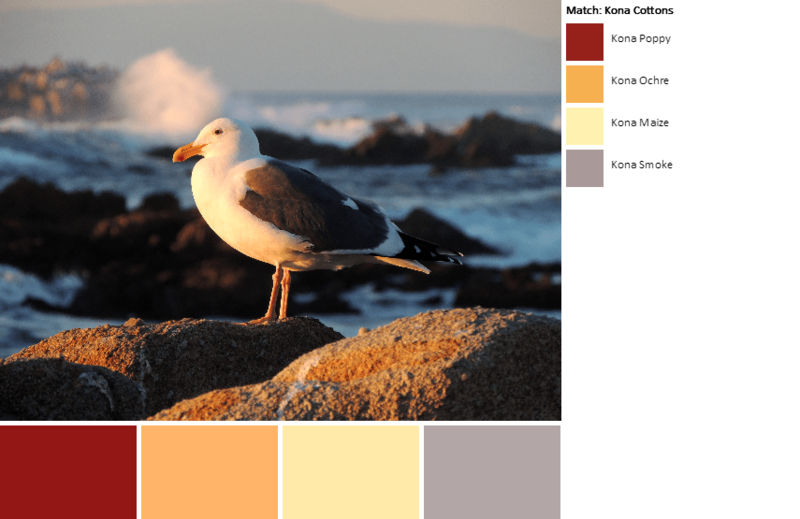 Oh, these are all lovely–photos and palettes. I’ve just collected my first little stash of Konas. 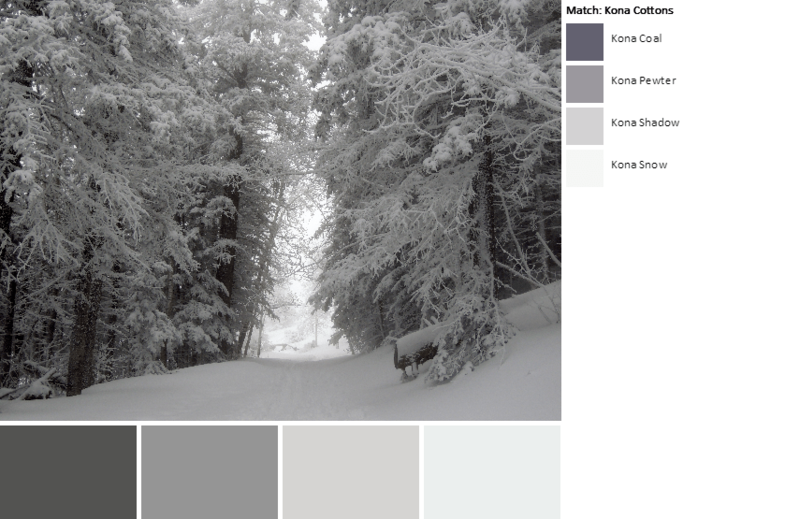 (I’ve used Snow a lot, but not many of the other colors.) I’ll have to check out the palette builder. Oh geez…I am a sucker for solids. I have a special bundle of Konas pulled right now that is in the process of being cut up. Might have to take some pics to link up and check out all the others. Your fabric pull actually looks very similar to one of my more recent quilts! All blue gradient feel! Love it! Oh man I love that first one! 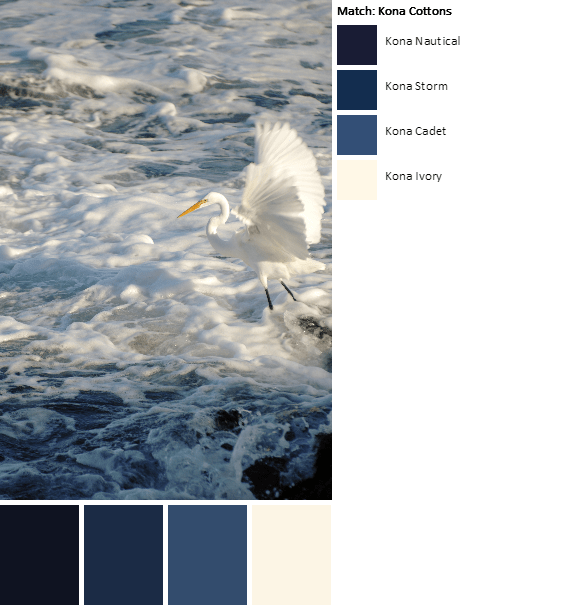 And the Egret palette too! I don’t love Kona though, their dye lots are so inconsistent I’ve branched out to several different solid companies to try and find one that is better from order to order. That being said, most of my solid stash is Kona and I do love their huge selection of colors. My newest sisterhood quilt is mostly Konas–Bison, Purple, Lavender and Berry. You are spoiled for.choice there Yvonne, what a great selection of photos to pick from. Mmm nice combos! I especially like that cactus mix. Seagull! Those colours really call out to me. I think its the Kona Poppy! So warm in the middle of winter! I would fail horribly at these… you have a really good eye for mixing and complimenting colors. Love each palette! What amazing photos, and really interesting to link them with your colour palette, The Egret one is definitely my favourite too, really stunning shot. Thank you! It was a lot of fun trying to limit each photo palette to 4 colors.